Do you know why the world came to the brink of nuclear war? Two words – ‘Cold War’. The Cold War was international affairs for the second half of the 20th Century. Nuclear weapons testing, civil wars in all corners of the globe and the race foreconomic dominance were all key spheres of the Cold War, although they werejust a few elements of a very complex global puzzle. More so than the greatbattles between Carthage and Rome in Ancient times or the Napoleonic Wars, the Cold War defined our world. But, there was one key difference between the Cold War and earlier major wars. Due to advances in technology and communications, the Cold War touched most countries on earth. This introduction to the early years of the Cold War is the debut book from George Levrier-Jones. He tells the story of the great clash between the Communist Soviet Union and thecapitalist USA. George’s fast-paced, concise writing style will allow you to quickly learn about the key events of the Cold War, and to find out how the world came to the cusp of nuclear annihilation. The approximately 80-page book is the perfect complement to the Cold War History audio series that is available as part of the ‘History in 28-minutes’ podcasts. How did one man inspire a generation of Communist revolutionaries? 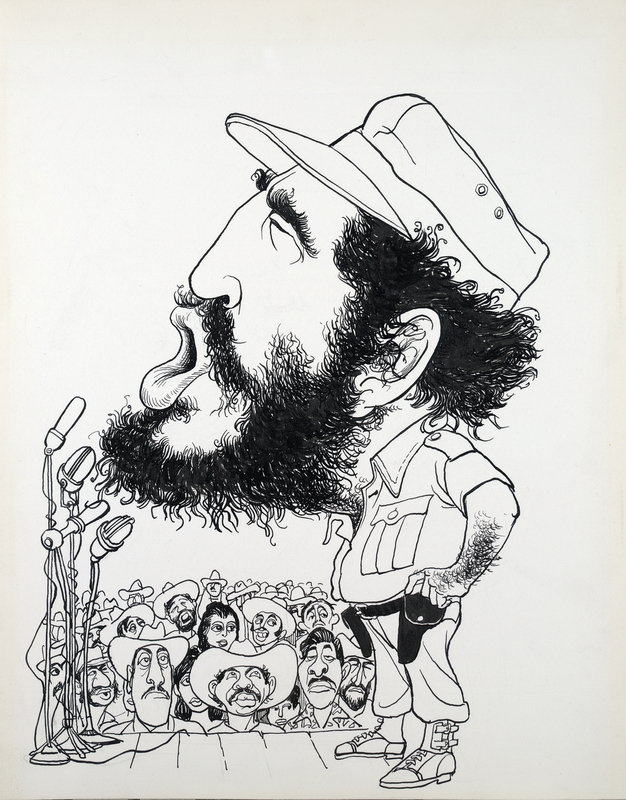 This podcast tells the story of Fidel Castro. Following our podcast on Brezhnev, we shall be looking at one of the most famous Communist leaders of all time, and almost certainly the most well-known Cuban in the world. He was also one of the longest serving leaders of the 20th Century, and somebody who inspires both fierce praise and fierce criticism, as well as somebody who was at the center of the most dangerous event of the Cold War. PS – the new series will be on the American Revolution. Make sure you’re connected with us for updates on when the series will be out. Do you know who the second longest serving Soviet leader was? Leonid Brezhnev was the dominant force in Soviet politics during the middle period of the Cold War and led his country at the same time as Nixon, our previous Cold War People subject. We have previously seen the rise and fall of detente during Brezhnev’s years in power, and how in the 1970s, under Brezhnev’s watch, the USSR became more involved in military endeavors in other countries. Today, we will see the wider changes he undertook in Soviet society, and reflect on his economic legacy, something that would be key as the 1980s wore on. One of the best and worst of America’s Presidents is the subject of today’s podcast. Following our look at Charles de Gaulle, this week we are looking at a very different man, a man who started his political career as an arch anti-Communist and who is remembered for many of the wrong things. But in fact, he played a crucial and constructive role in the Cold War during the Détente years, most notably for his dealings with China. In this episode, we look at Richard M Nixon’s wider life and times. The leader of the Free French forces and perhaps the greatest Frenchman of the 20th Century is the subject of today’s episode. Charles de Gaulle. Today we look at a man who was both similar and different to the subject of our last podcast, Ho Chi Minh. De Gaulle was a strong-willed, fiery character and he was very nationalistic. And as well as leading the Free French forces during World War 2, he would later take on another very important role. He even started his own political creed, and also caused major disputes with his Cold War allies in the 1960s. In this episode of Cold War People, we look at one of the greatest Communist revolutionaries of them all, Ho Chi Minh. Much like the man we looked at in the last podcast, Mao Zedong, Ho was an East Asian Communist revolutionary. He was involved in the Communist movement and had wanted to create a Communist Vietnam for many years even before he got close to having his wish fulfilled. Previously, we have seen him play a key role in the Vietnam War, but in this episode we briefly look at his wider life. We’re back with a new series of Cold War People, the series where we briefly look at the lives of the key people involved in the Cold War. Following our episode on JFK, we’re here with an episode on one of the most important people in the whole Cold War – Chairman Mao Zedong. He was dominant for decades after taking power in Communist China. He was often more hard-line than Soviet leaders. His views caused rifts with the Soviets as well as the Americans in the Cold War. A truly unique character, his policies also caused havoc within China, and he had a long and winding life before he even took power. John F Kennedy, a man who surely needs no introduction, is the last person we look at in this series of Cold War People. We shall be looking at one of the most iconic of US presidents, a sometimes controversial figure who inspired hope in so many. He also died in the most tragic of circumstances. See you soon for our series on the Spanish Civil War. Nikita Khrushchev was the leader of the Soviet Union for nearly a decade in the years after Stalin’s death. Khrushchev played a major role in some of the most important Cold War events during his time in power in the 1950s and 1960s. The key years of the nuclear arms race, the building of the Berlin wall, and the Cuban Missile Crisis all happened during his time as Soviet leader. But, he had a bloody and intriguing past before then. Dwight D Eisenhower was US President throughout much of the 1950s, and lived an extraordinary life before then. Eisenhower was so much more than a 1950s Cold War President. In spite of the fact that he led the US during the period when the Cold War was in full swing, Eisenhower had a great and long life before that. Indeed, in many respects Eisenhower’s greatest accomplishment came before his time as President.